Hey everyone! I can't believe that it's the first of December tomorrow! It will finally be acceptable to put up Christmas decorations, listen to Christmas music, watch Christmas films and just finally get into the Christmas spirit! I saw a quote the other day and it said something like this 'Think of 2014 as a book, December is the final chapter of that book, make it the best and most exciting chapter yet'. Definitely something to think of as we head into December. But enough inspiration. Let's get into this month's favorites. As you can tell I have a lot of beauty favorites this month. 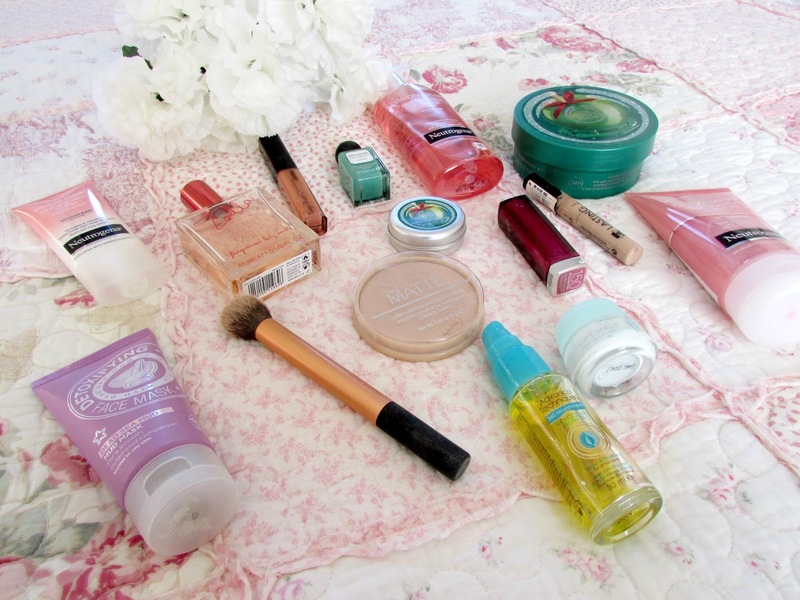 Over the course of the summer I didn't really wear much make up so when I returned I rediscovered some old favorites. As you will know if you've read my blog I have been exposed to very harsh sunlight this summer due to the requirements of my job. Because of this my skin hasn't been as good as it used to be. However this mask has definitely helped that. My skin looks more radiant, clearer, more hydrated and also combats all the blemishes that I have on my face as well. I have done a more indepth review HERE, if you are interested in this mask. When Zoe announced that she was releasing her own range of products I couldn't have been more excited and jumped at the chance to get her products. One of my favorites in the range is this gorgeous fragrance. It smells very fresh and elegant and is perfect for everyday wear. This has definitely been one of my most used scents this month and I absolutely love it. Neutrogena have been a brand I have loved for a good number of years. I think their products are absolutely amazing and all of these products combined really do wonders for my skin. The daily scrub just removes all the dead skin off my face, the facial wash just cleanses my face and leaves it feeling super refreshed and the moisturizer really does hydrate my skin and leaves it feeling baby soft. If you haven't tried this brand yet I'd highly recommend it. This brush is definitely one of my all time favorite brushes to use. I don't really tend to contour my face purely because I find I don't need to so I mainly use this brush to blend in concealer underneath my eyes as I find the brush fits perfectly in that area and it blends the concealer perfectly. I also sometimes use this for applying blusher to my cheeks as well. I have jumped on the bandwagon extremely late when it comes to Tanya Burr's lip glosses. Last week I was browsing superdrug and caught sight of them so I decided to purchase two. Champagne Toast and Smile, Dream, Sparkle. My favorite is definitely Champagne Toast. I absolutely love the colour, I love how sparkly it is and it compliments my skin tone perfectly. It's also extremely glossy but non-sticky which is perfect for those windy days! I don't need to worry about my hair sticking to my lips! I will be doing a review of both the lip glosses soon so make sure you keep an eye out for it. This month I have been trying to grow my nails. I have an awful habit of biting them and it's absolutely disgusting and I get super embarrassed when other people notice. I love wearing nail polish so I decided to grow them out. My favorite color this month has been Lime Basil which unfortunately has now been discontinued which I just found out whilst looking for a link for you all. It's a gorgeous green leaf like color and it smells absolutely amazing when dry! It has a lime scent but it also contains a hint of spice too which I absolutely love. This is definitely, in my opinion anyway, the best drugstore powder there is. The minute I came across this and started to use it there was just no going back. It is absolutely incredible. It just gives such a flawless look to my skin, doesn't come across as cakey and is just an absolutely amazing product. Recently I've been only wearing powder as I'm completely gone off foundation I do not know why and it has pretty fab coverage for a powder too. I wear the shade 005 which is Silky Beige. For only £3.99 I can't complain at all. This is definitely my favorite scent by far at the moment. Not that I can smell it that well anymore as I am suffering from a super bad cold at the moment but it really is incredible. It's definitely one of the best scents the body shop has come out with recently. I only really like the Mango scent in the body shop so I'll definitely be stocking up on Glazed Apple products. The lipbalm is incredibly moisturising and even has a slight flavor to it and the body butter smells incredible and does it's job by keeping your skin soft and smooth. The scent lingers on the skin for a long time as well which is definitely bonus! Another holy grail product for me, I've lost count of the amount of favorites posts I've featured this one but I hadn't used it for a long time as I was using a different concealer however I spotted this in Superdrug earlier this month and decided that I just had to purchase it again. It's just an incredible concealer. It hides all my spots perfectly and really conceals my dark circles under my eyes which is brilliant as I'm hardly getting any sleep at the moment. I did a review of this concealer a while ago now on my blog but you can check it out HERE to learn more. This is one of my all time favorite lipsticks. It's such a beautiful color and really compliments my skin tone. I love how moisturizing it is and also how soft and buttery it is as well The color is really pigmented and is long lasting as well. It's definitely one of my favorite colors to wear this time of year however it's a color that can definitely be worn all year round. I'm not a massive eye cream user as I just never seem to find one that works perfectly for me until I came across this one through Love Me Beauty. This eye cream is incredible. It basically reduces any puffiness under my eyes and really brightens the under eye area especially if you have dark circles like me. Definitely the best eye cream I've come across to date. I consider this oil more of a serum than an actual oil due to the texture of it but that aside it's absolutely amazing. I love using this on my hair, especially if I have just washed it. It just leaves my hair feeling so much more stronger, healthier and shinier as well. As it's from Avon is is pretty cheap as well so if you are on a budget but can't afford the more expensive ones then this is definitely something that will be right up your street, no matter what your hair type is. 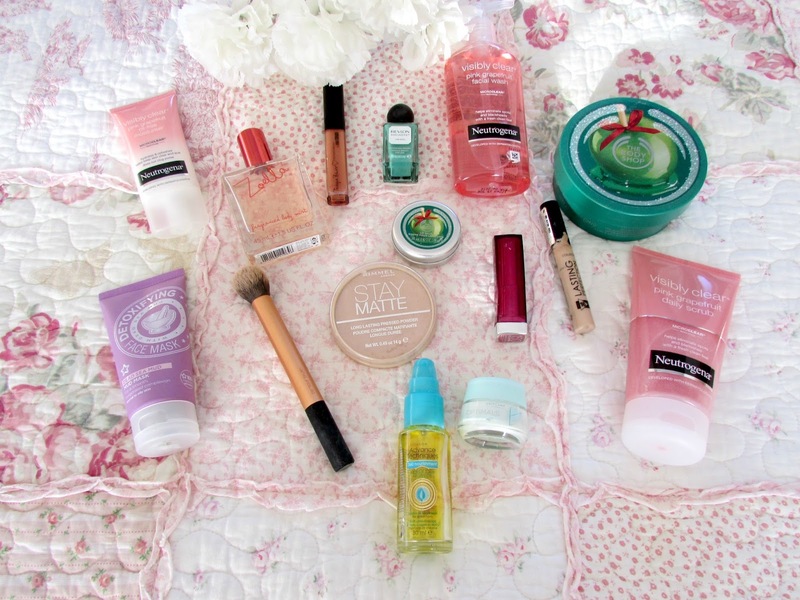 Have you tried any of these products above? What are your November Favorites?